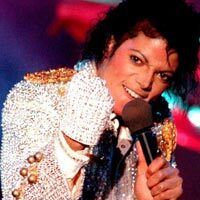 Michael Jackson was a genius – on that I think we can all agree. But he was eccentric, he was a perfectionist, he was a risk taker and just what was it that caused the walls of his life to come tumbling down? Just when he was poised to make a great comeback – he left this world. What was the root of his gifts and his greatness and where did his pain and suffering come from? Michael Jackson died on the 25 June 2009 – the same day that the SolePath wisdom started downloading for me, an incredible coincidence.